A simple and effective way of aiding in sealing a leak between pipe and fitting. 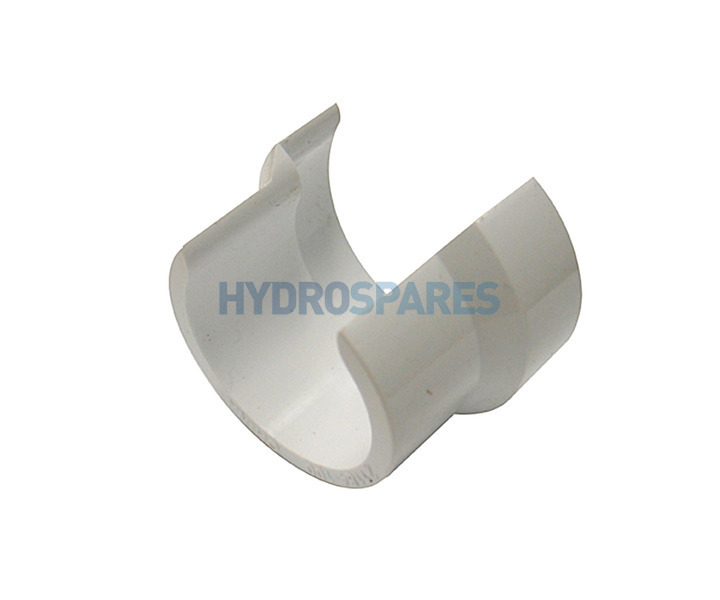 This clip on seal is designed to be used in conjunction with solvent weld glue to seal a leaking joint between pipework and pipe fittings. Tapered, the larger flange will fit over fittings while the smaller will fit over pipe. Making sure the area to be repaired is dry and any moulding spurs on pipe or joint are smooth, glue should be applied to the area where the joint is leaking as well as the inside of both surfaces of the clip. The clip then pops over both parts and moved onto the area where the leak has occurred. The glue and clip should form a seal, saving you a bigger job cutting out and re-plumbing.